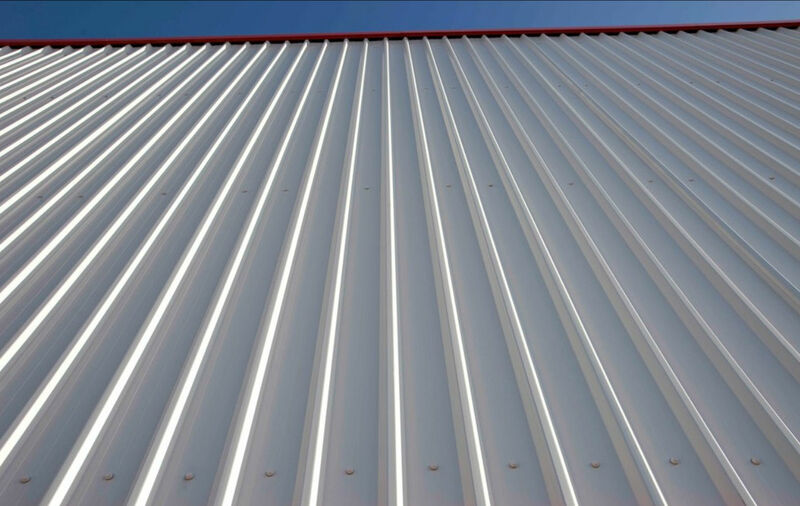 Metal roofs are the clear choice in commercial roofing with a lifespan of up to 50 years and the ability to withstand fire, high winds, and hail. Of course, the seams are the weak point of a metal roof, as with any roofing material. A metal roof is installed by attaching multiple individual panels to each other which are then fastened to the roof deck with grommets. 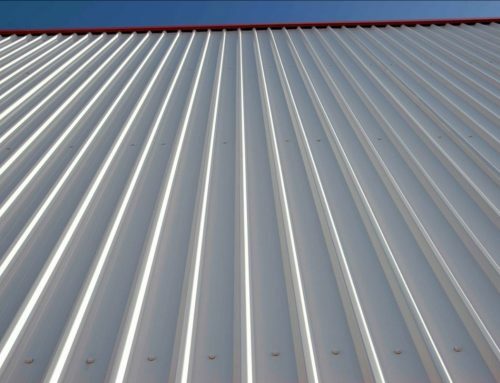 The seams, joints, nails, and fasteners of the metal roof will be subject to the most degradation and corrosion. It’s a common misconception that a 12-inch end lap and gravity will be enough to stop water from entering, but this nestling effect of the panels can actually work as a siphon to wick water to the end lap and under the roof. Seam tape and polyester fabric are the most commonly used solutions, but that does not mean they are the best. Both options are labor intensive and prone to failure. A liquid applied system is the superior option for long-lasting waterproofing of your new or existing metal roof. While butyl seam tape and polyester fabric have been the standard solution for sealing seams for decades, both options tend to create more problems over time. 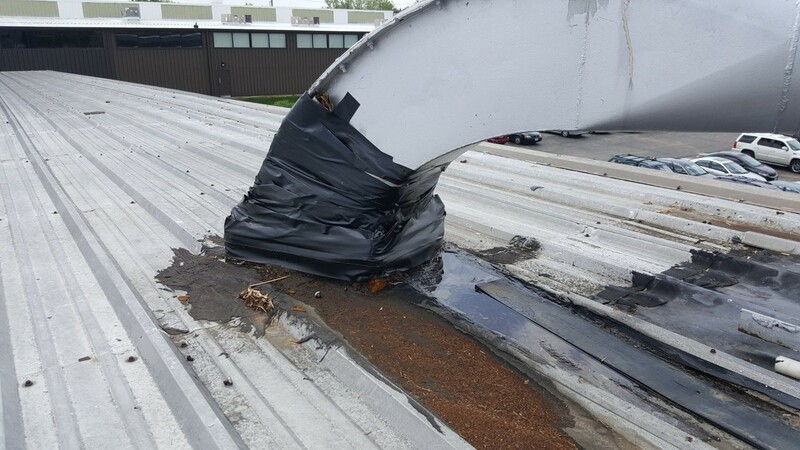 Fabric tapes, for example, work to trap moisture and accelerate corrosion on a metal roof. These solutions cannot contract and expand at the same rate of the metal, which results in shearing that lets moisture breach the seal. 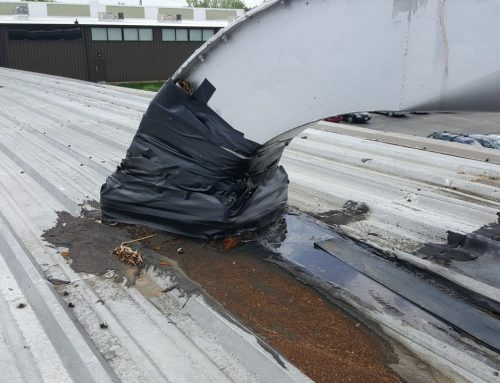 When metal roofs leak, they tend to leak at the seams and it’s often a result of failed butyl tape or polyester fabric. Why Choose Fluid Applied Sealer? With a fluid application, the product can be forced into the seam rather than sitting on the surface. Fluid applications also adhere and conform to the shape of the metal panel far better than any seam tape or fabric can. A fluid applied sealant remains flexible over a wide temperature range for long-term durability and superior adhesion. 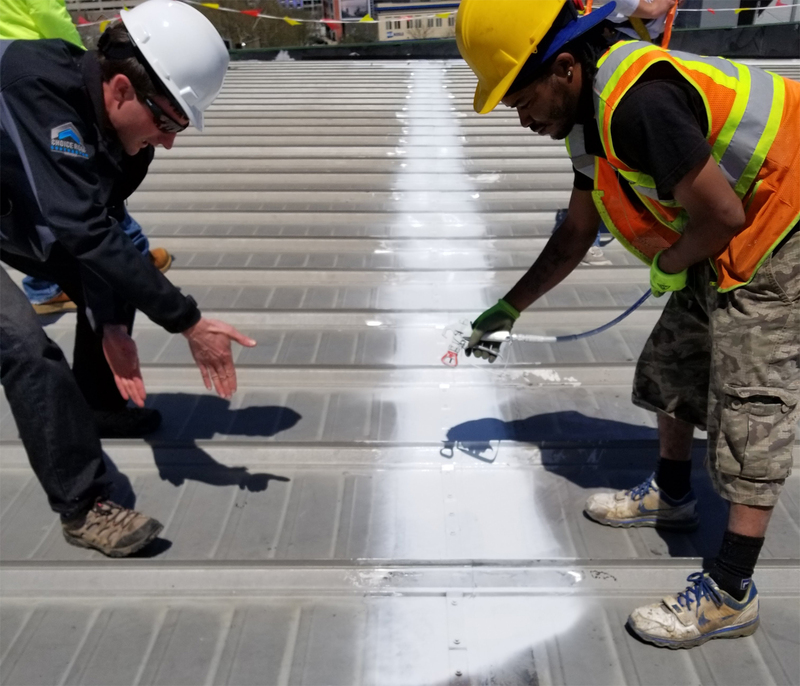 It can be used to seal all metal end laps, flashing, fasteners, and other weak points on the roof while maintaining the architectural appearance and integrity of the metal itself. Liquid applied systems are so versatile that it was used to restore the U.S. Capital when the cast-iron dome from the 1850s began leaking in several places. The dome has 33 antefixes and other unique architectural elements that make the area difficult to access, but a liquid applied system was able to fully adhere to the substrate and flexible enough to conform to the entire contour and shape. With a fluid applied system, the leaks were fixed and the new system can withstand the structural movements of the dome without cracking or tearing. There are two primary types of liquid applied systems that can be applied to a roof: acrylic and silicone. 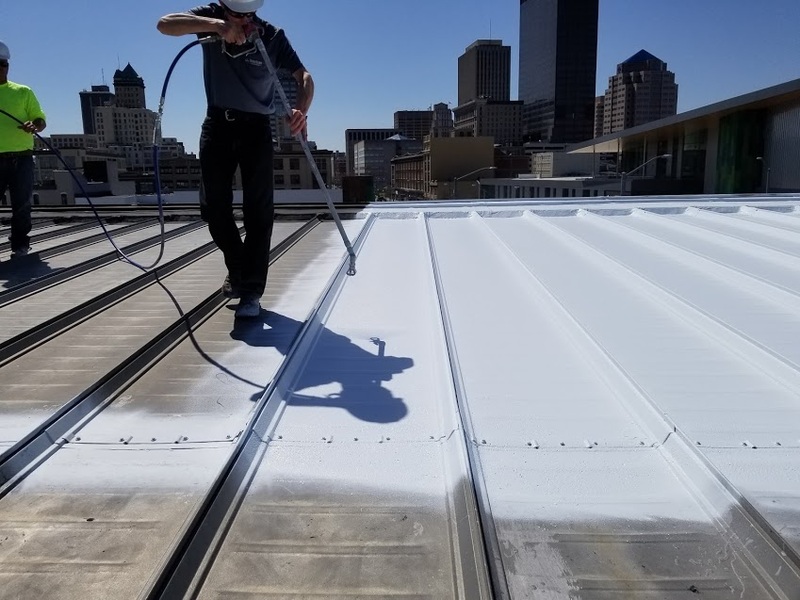 Acrylic is usually the best choice for a new or existing metal roof because it’s water-based and offers excellent adhesion, remains reflective longer than silicone to reduce energy costs, has a lower cost, and does not crack and tear like silicone. Acrylic does not require the use of a roof fabric and it offers long-term flexibility. 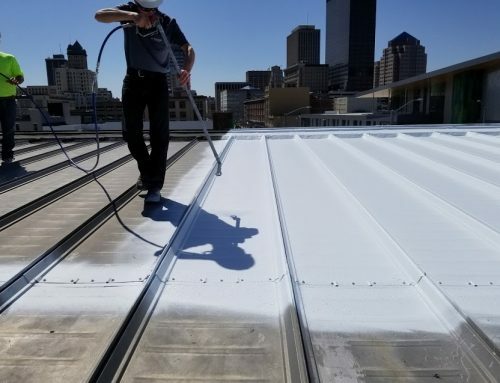 When an acrylic roof coating wears out, a new coating can be applied to restore the waterproof membrane of your roof. Silicone lasts longer but comes at a much higher cost. When silicone wears out, it must be removed and replaced.